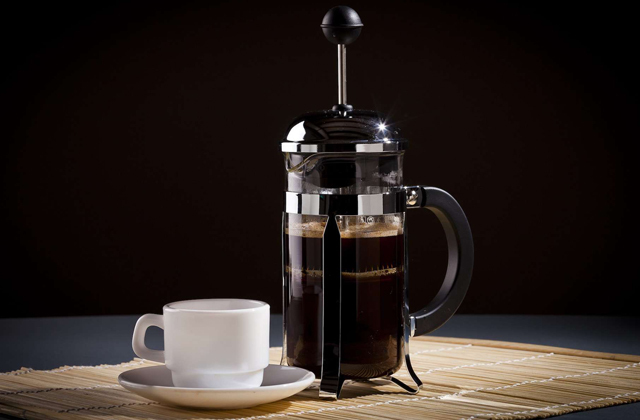 The kettle features a 5-ply capsule bottom. Five layers of high-quality metals, formed into an ultra-wide bottom, make for a design solution that evenly and quickly heats up water. An infuser tea strainer will help you brew a nice single custom cup of loose leaf tea. The mirror finish is susceptible to scratches. 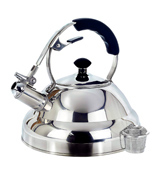 Willow & Everett tea kettle is practically one of a kind. 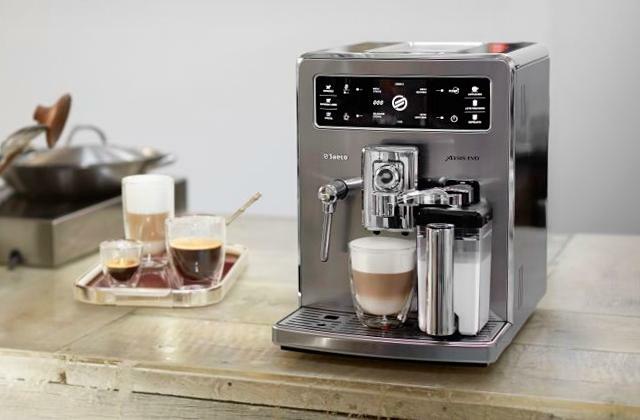 The model combines a sleek appearance with an excellent build and no less excellent performance. The kettle looks so good it could even serve as a conversation starter. 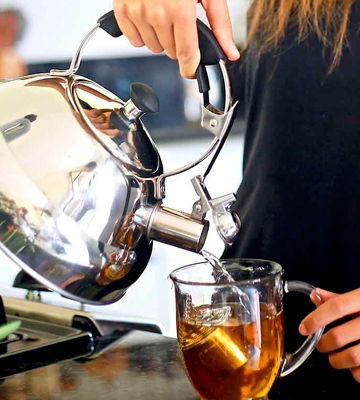 The flip-down handle rotates out of the way, so you can easily fill, pour, or store the kettle. The model incorporates a particularly large lid opening. It makes for an easy and convenient filling and cleaning. The whistle is really loud. Isn't compatible with induction stoves. 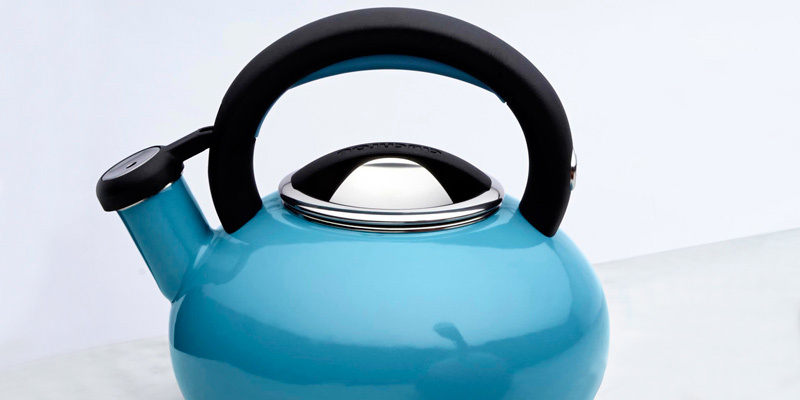 OXO Good Grips is a huge kettle with a classic appearance that does borrow an idea or two from the new design books. With 3 quarts of volume, this thing will be able to sustain a huge family of tea enthusiasts. Plus, considering its tough exterior, it will last for a long time. Incorporating a bright red enameled steel exterior, the model doesn't stain very easily but it does clean without any difficulty. 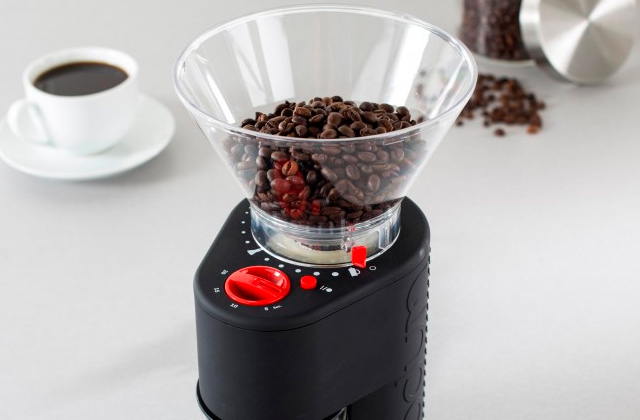 The squeeze-and-pour spout lever makes it easier to control the water flow. The stainless steel lid fits really tightly. The spout is not drip-free. Circulon Sunrise is really affordable. A functional and durable enough kettle for less than 20 bucks is always a steal in our book. 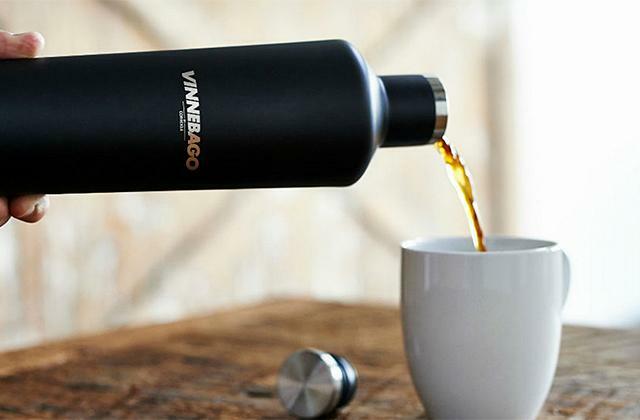 Its capacity will let you boil enough water for 6 cups at a time and that should be plenty for most occasions. Featuring an arched, Asian-style handle, the model looks sophisticated and refined. With an inverted bowl shape and an array of colors to choose from, you can definitely find a kettle that will fit your kitchen. The kettle's capacity is marked on the base, so you get that quick reference for streamlined utility. The lid is a little stiff at first. 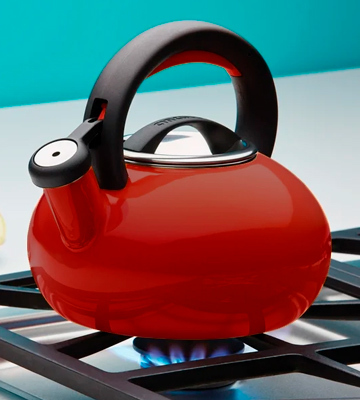 Le Creuset is a great tea kettle for people from all walks of life. That said, we would recommend it to tea connoisseurs first and foremost, the kind of people who truly appreciate the philosophy of the tea ceremony and the craftsmanship that goes into creating the right equipment. 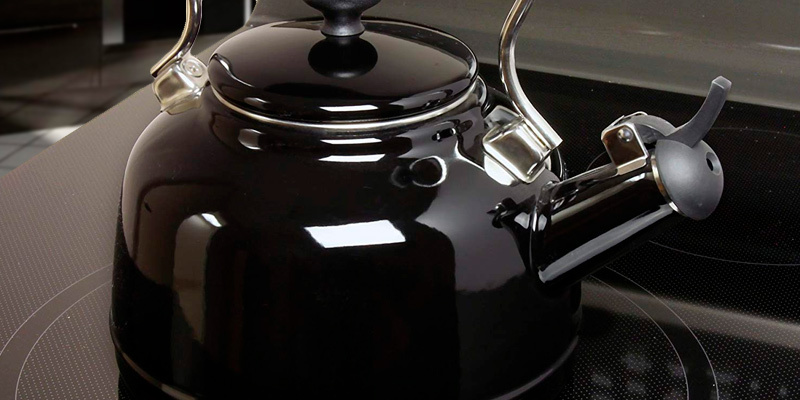 Armed with premium heavy-duty enamel interior, the kettle does a bang-up job resisting water and calcium buildup. It is compatible with all stovetops, including induction. On top of its steel construction, the model has a layer of easy-clean, high-quality enamel. It doesn't fade with time. The spout cover gets a tad loose after some time. 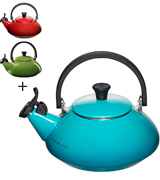 With this Chantal tea kettle, you don't just pay for functionality, you also pay for the looks. You pay for matching enamel lids, for a surprisingly pleasant one-tone whistle, and for a fresh design with a classic twist, combining vintage aesthetics with modern-day utility. Kettles don't have to look good but it doesn't hurt when they do, right? Nothing too out there, just the kind of model that meshes well with your modern interior. That's exactly what you get from this Willow & Everett tea kettle. Made of premium surgical grade stainless steel, this thing isn't just about the looks. Rust, corrosion, dents, there's practically nothing that will be able to affect its appearance. That being said, the very mirror finish that makes the model looks so sleek is also the reason it is a little susceptible to scratches, so we would still recommend being careful with it. Setting the looks and durability aside, another thing that makes this kettle such an overall attractive option is its 5-ply capsule bottom. 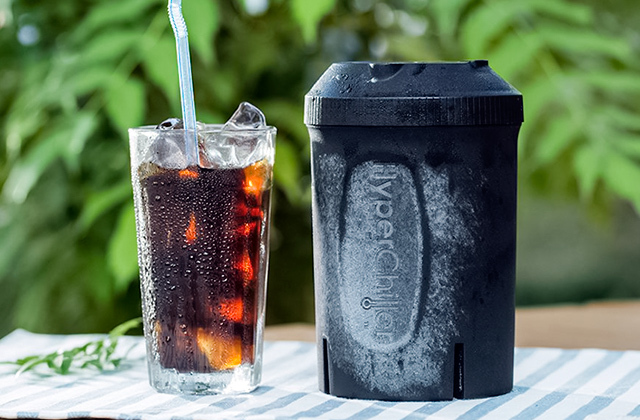 Five layers of high-quality metals, formed into an ultra-wide capsule bottom, make for a design solution that evenly and quickly heats up water. But it isn't just these huge details either. It is also the little things, like the tea strainer that comes with the kettle. 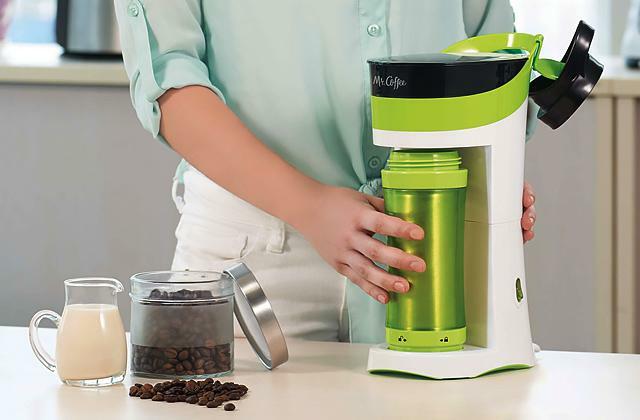 With it, you'll be able to brew a nice single custom cup of green or loose leaf tea. Finally, despite what the tea strainer might have led you to believe, this isn't a model that's strictly suitable for single people. 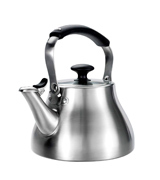 In fact, with 2.75 quarts of liquid capacity, the kettle will prove a perfect fit for a sizable family. Bottom line, Willow & Everett tea kettle is practically one of a kind. The model combines a sleek appearance with an excellent build and no less excellent performance. The kettle looks so good it could even serve as a conversation starter. OXO Good Grips is a huge kettle. With 3 quarts of volume, this thing will be able to sustain a huge family of tea enthusiasts. As you can tell from the image, it is a classic design with a vintage profile. For the most part, there's very little to complain about here. The only issue we have with the kettle is that it doesn't work with induction stovetops. Now, though its appearance practically screams old school, the model does borrow a thing or two from the modern design books. More than anything, it is these little silicone touch points on the spout and the handle. Able to resist heat, they prevent any accidental scalding scenarios. 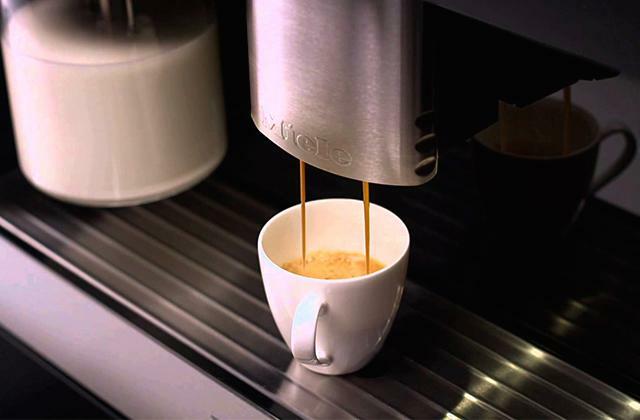 The flip-down handle rotates out of the way, so you can easily fill, pour, or store the kettle. On that note, the model also incorporates a particularly large lid opening. It makes for an easy and convenient filling and cleaning. A classic design implies a loud whistle and boy can this tea kettle whistle. We're not saying it will hurt your eardrums but you'll definitely be able to hear the large whistling sounds from a solid distance. From the construction standpoint, the model's both classic and modern. 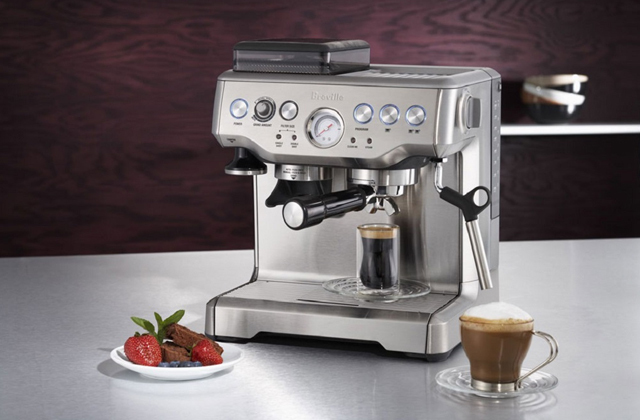 Made of high-grade stainless steel, it isn't as prone to rust as its predecessors. Again, to drive the point home, OXO Good Grips is a huge kettle with a classic appearance that does borrow an idea or two from the new design books. Live with a bunch of people, all of whom are crazy about tea? This tea kettle will fit you to a tee (sorry, we had to). First and foremost, Circulon Sunrise is really affordable. A functional and durable enough kettle for less than 20 bucks is always a steal in our book. Now, as for that functionality and durability, let's start with the latter. Featuring a bright red enameled steel exterior, the model doesn't stain very easily but it does clean without any difficulty. Both the lid and the handle are made of stainless steel, so the whole thing is practically immune to rust and corrosion. 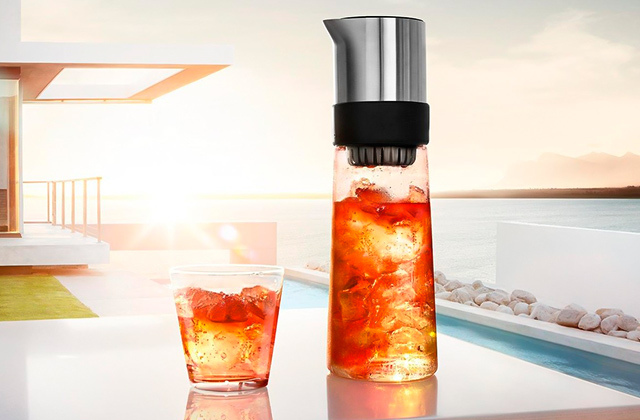 In terms of functionality, this tea kettle doesn't bring anything new to the table but it does not disappoint either. 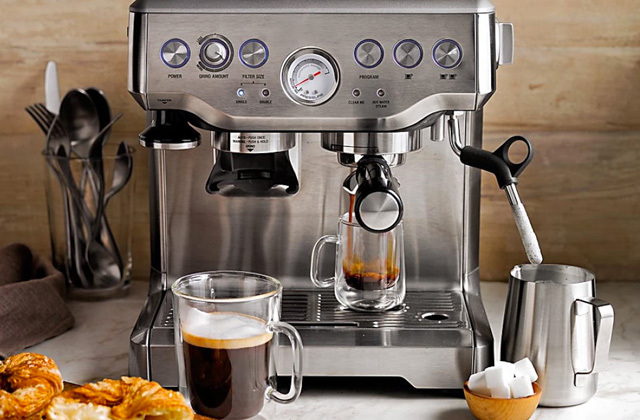 One thing that we really like is the squeeze-and-pour spout lever. Incorporated right into the handle, this little detail makes it so much easier to control the water flow. There's one gripe that we have with the spout and that's the fact that it isn't drip-free, so you ought to be a little extra careful while pouring water. Other than that, we can definitely get behind the model's blend of style and utility. The whistle is loud but pleasant. The aforementioned stainless steel lid fits really tightly, so you won't spill any water moving it from the stove to the countertop. Sure, with 1.5 quarts of volume, it is a little small. 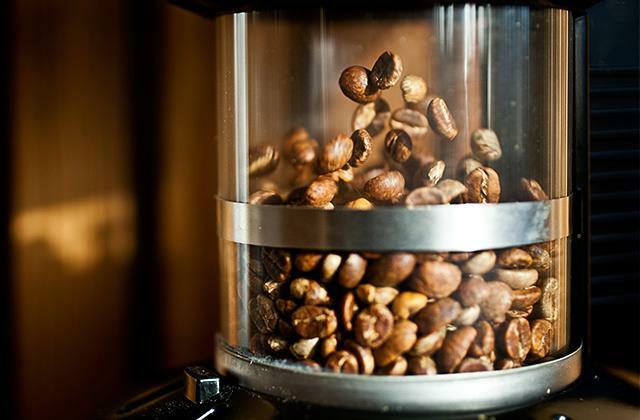 But it will allow you to boil enough water for 6 cups at a time and that is plenty for most occasions. 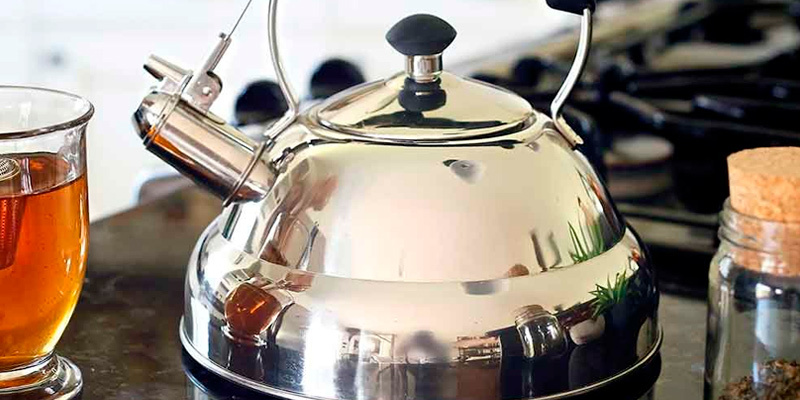 Unless you like to throw huge tea parties, there's really no reason to overpay for a larger kettle. Some like to associate tea with England. But our United Kingdom friends didn't invent it. No, tea originated in China and, along with Indians, these people are the original tea connoisseurs. So, really, as far as the whole tea ceremony idea goes, we should be following their ways and practices. 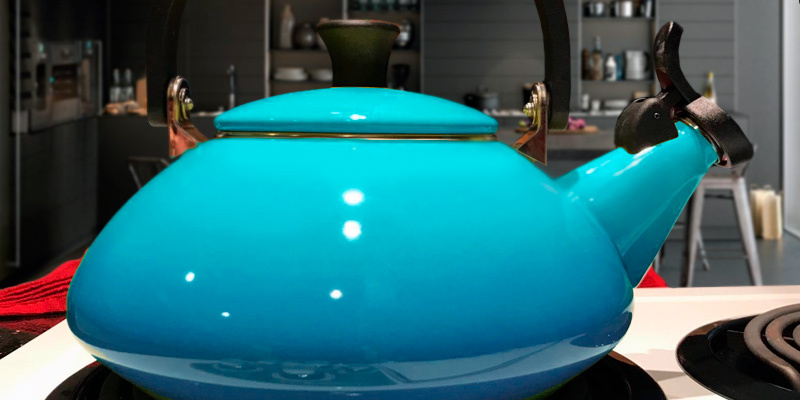 The folk at Le Creuset certainly do, with this contemporary zen tea kettle. Featuring an arched, Asian-style handle, the model looks sophisticated and refined. Considering its inverted bowl shape and an array of colors (yellow, blue, green, red, you name it) to choose from, you can definitely find a kettle that will fit your kitchen. The product doesn't come up short in the construction department either. The generous base size ensures better contact with the heating element. This way, water boils as quickly as possible. 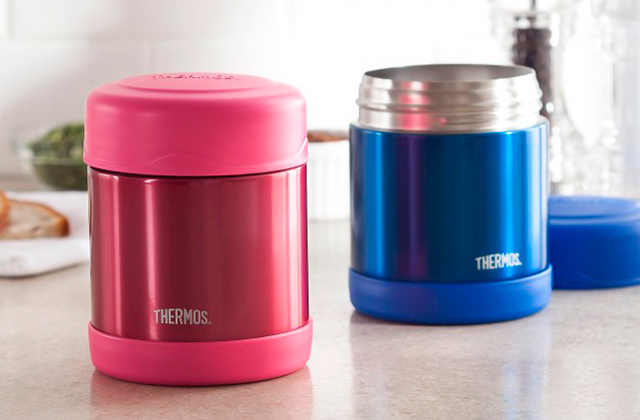 The phenolic lid knob is heat-resistant, so you'll never burn your fingers. The kettle capacity is marked on the base, so you get that quick reference for streamlined utility. Naturally, the plastic handle is also heat-resistant, making the whole thing practical and functional. The only thing we have against this kettle is the lid. Not a dealbreaker by any stretch of the imagination but it is a little stiff at first, a little oversight on the manufacturer's part. Apart from that, Le Creuset is a great tea kettle for people from all walks of life. That said, we would recommend it to tea connoisseurs first and foremost, the kind of people who truly appreciate the philosophy of the tea ceremony and the craftsmanship that goes into creating the right equipment. 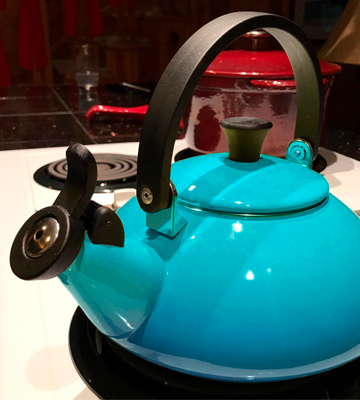 This tea kettle for Chantal isn't cheap but that's the price you pay for that classic vintage aesthetic mixed with the latest advancements in the field's craftsmanship and technology areas. Fresh with a classic twist, the model doesn't leave a whole lot to be desired. 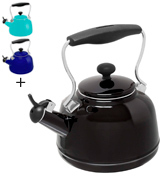 Incorporating premium heavy-duty enamel interior, the kettle does a bang-up job resisting water and calcium buildup. It is compatible with all stovetops, including induction. On top of its steel construction, the manufacturers have added a layer of easy-clean, high-quality enamel. It doesn't fade with time, so the kettle maintains its appearance without being too demanding in terms of that maintenance. 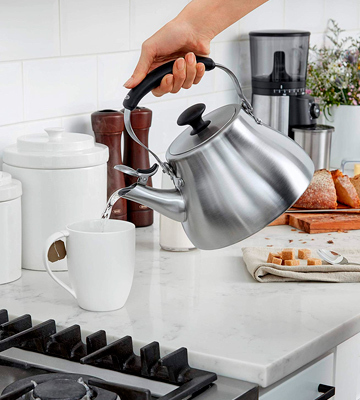 The handle, with its plastic cover, and the spout, with a plastic touch point, stays cool regardless of the temperature, making the kettle safe enough even for the most negligent people. Having said that, the spout cover does get a tad loose after some time, so you'll have to occasionally adjust it. We don't want to be too harsh on the spout though. Its cover aside, we really like it. The conical shape, along with the wide opening of the lid, makes it particularly easy to fill it with water and clean afterward. 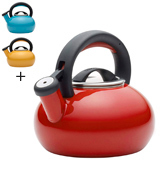 Long story short, with this Chantal tea kettle, you don't just pay for functionality, you also pay for the looks. You pay for matching enamel lids, for a surprisingly pleasant one-tone whistle, and for the aforementioned fresh design with a classic twist, combining vintage aesthetics with modern-day utility. You're either a tea person or a coffee person, that's just the way of the world. Either way, you need a kettle to make that favorite beverage of yours happen. 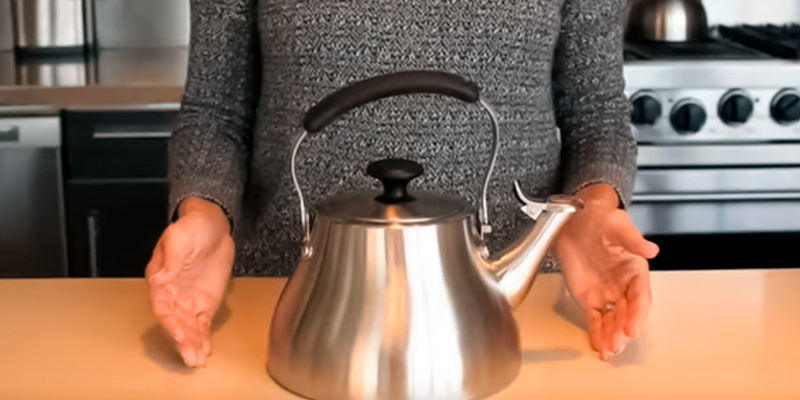 Though they're often referred to as tea kettles, surprisingly enough, these little devices are just as suitable for making coffee or anything that requires boiling water to the right temperature. There's probably not a whole lot of a reason to go into details as most people are probably aware of what kettles do and how they work. That said, there are a few details we would like to point out. Just about every kettle these days comes with a built-in whistle, so there's hardly a reason to focus on that. Most come equipped with the type of spout that incorporates a silicone lever and/or a plastic point. 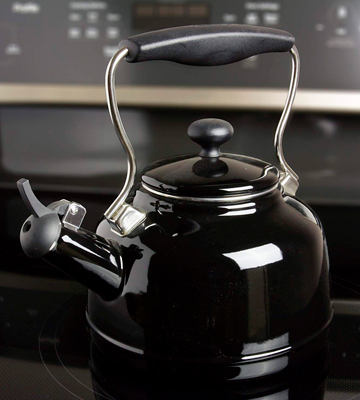 The majority of kettles are made of either stainless or enameled steel as this is one of the very few commercially available and affordable metals that's able to withstand high temperatures. Apart from that, the only major variation between different kettle models is the volume. Live alone? A smaller kettle will suffice. Have a few roommates? Wouldn't hurt to splurge for a bigger one. Tea is great in and of itself. But it is even better with a sweet dessert or two. A muffin pan or a cake pan will allow you to make that delicious combination a reality.